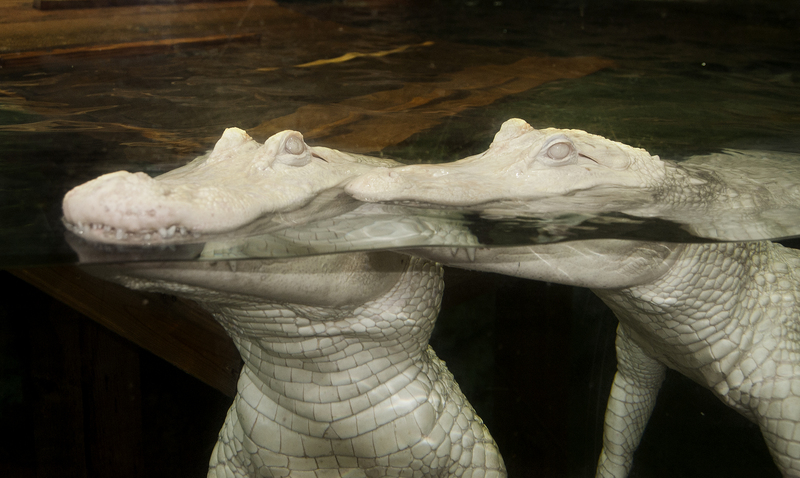 NEWPORT, Ky. – There will be guaranteed snow in Northern Kentucky this summer as albino American alligators Snowball and Snowflake are set to return to Newport Aquarium on Thursday, July 17. The white alligators will make their new permanent home at the Gator Alley exhibit, which features one of the most distinct collections of alligators in the country. 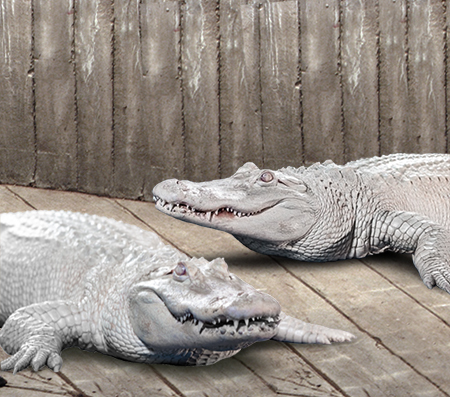 Snowball and Snowflake are two of less than 100 known white alligators in the world. Due to a lack of camouflage and sensitivity to UV rays, white alligators have a low survival rate in the wild. Their new neighbor, Mighty Mike, is the largest American alligator in the United States outside the state of Florida at 14 feet in length and 800 pounds. Each white gator measures roughly six feet in length, with the female Snowflake weighing approximately 65 pounds and the male Snowball approaching 85 pounds. Snowball and Snowflake made their Newport Aquarium debut in November 2013 at what was then known as the Rainforest exhibit. At the end of February, the two white alligators were moved off exhibit as Newport Aquarium prepped to convert the Rainforest into the new Turtle Canyon exhibit that opened in March. 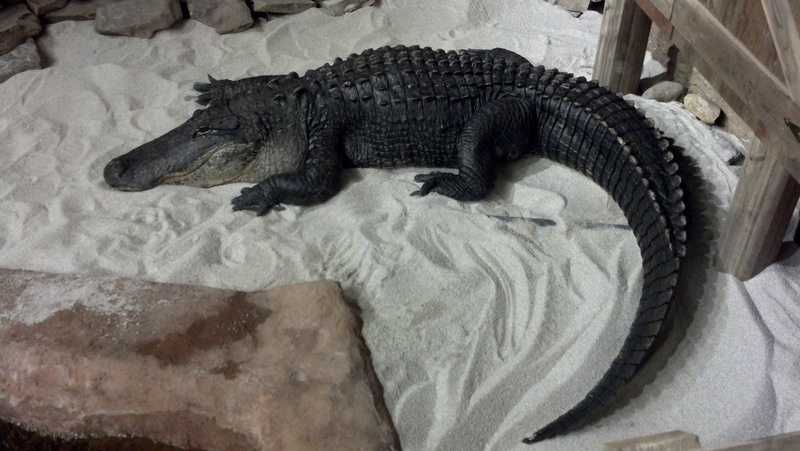 This entry was posted in White Gators and tagged #WhiteGators, albino alligators, newport aquarium by NewportAquarium. Bookmark the permalink.